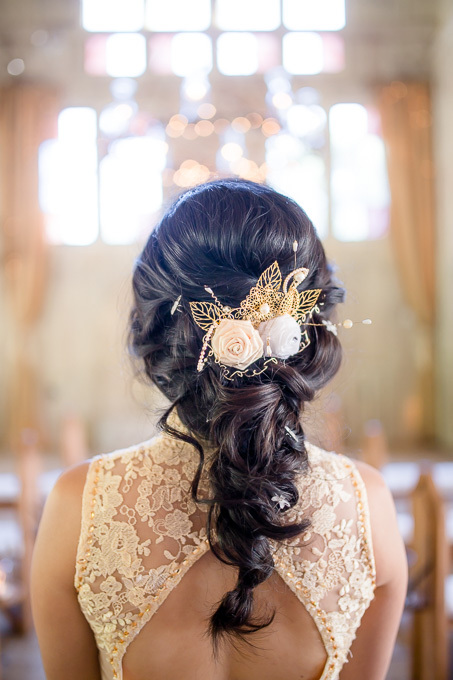 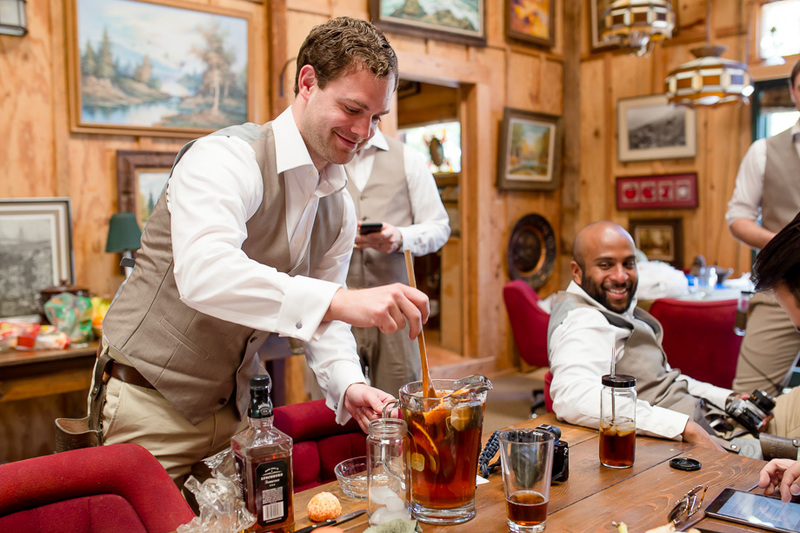 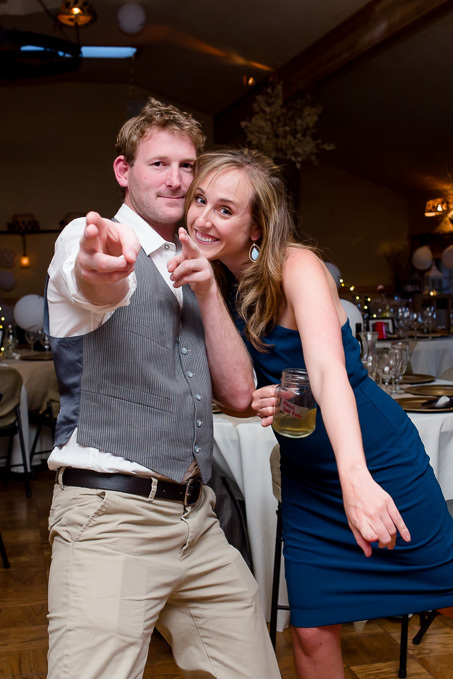 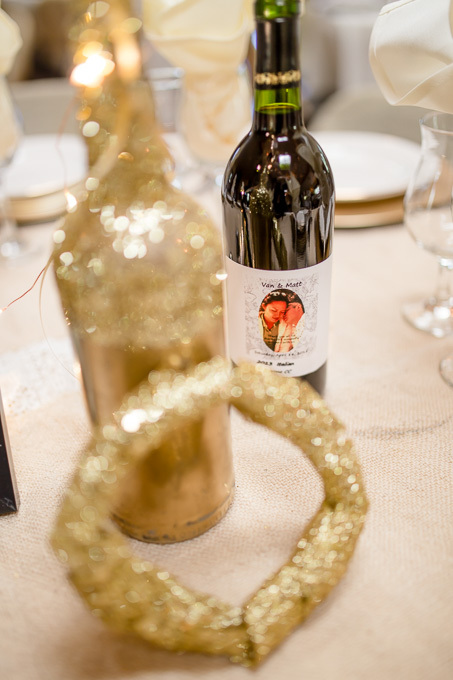 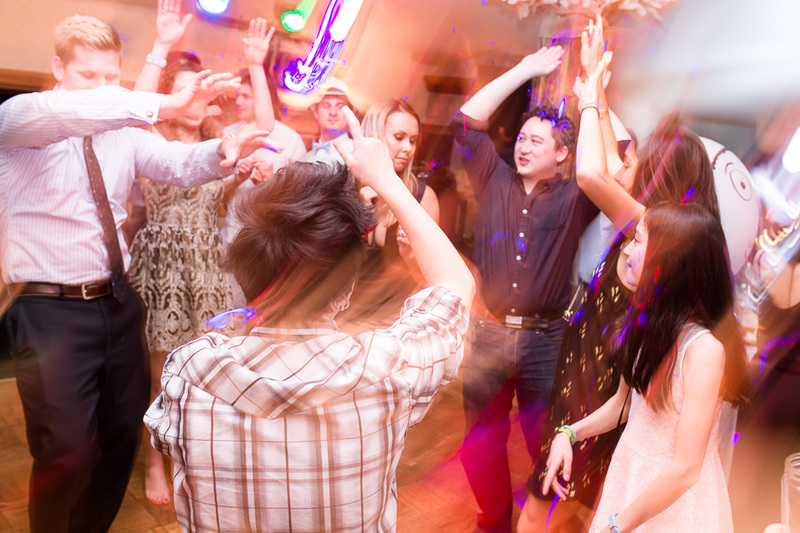 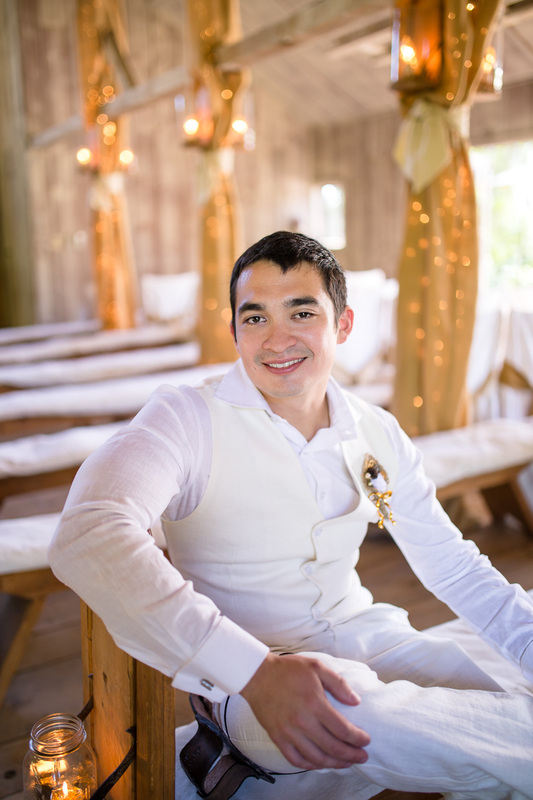 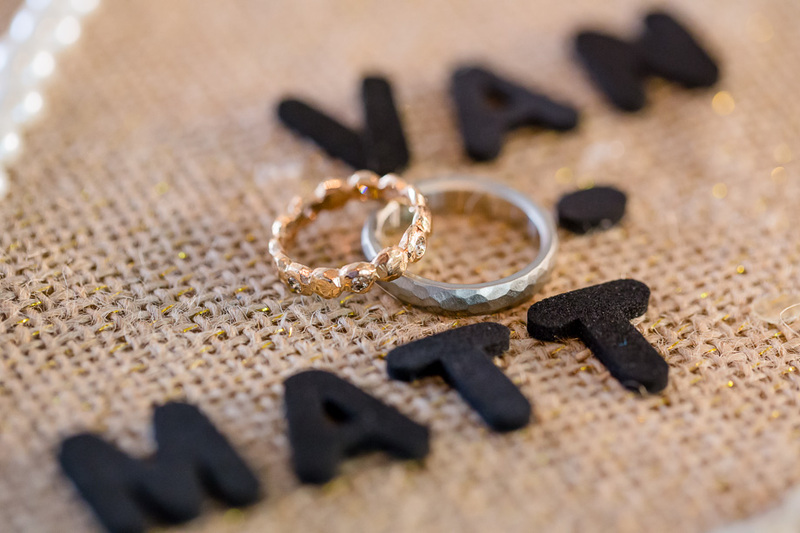 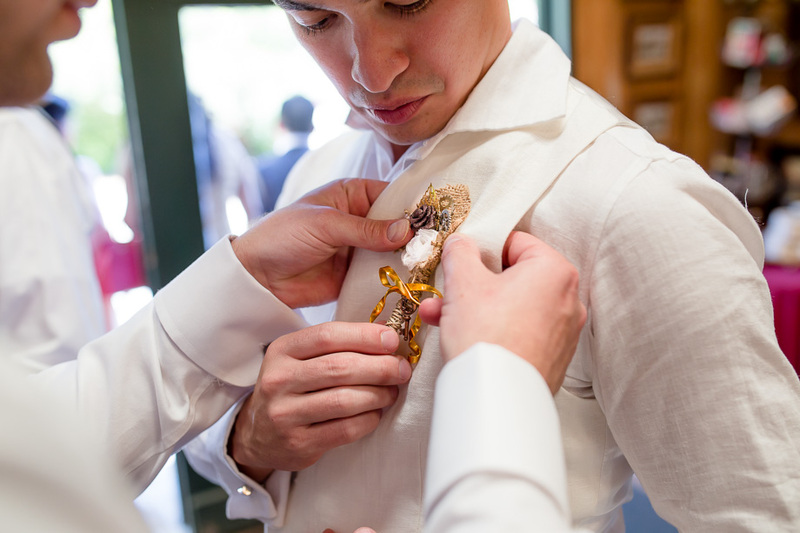 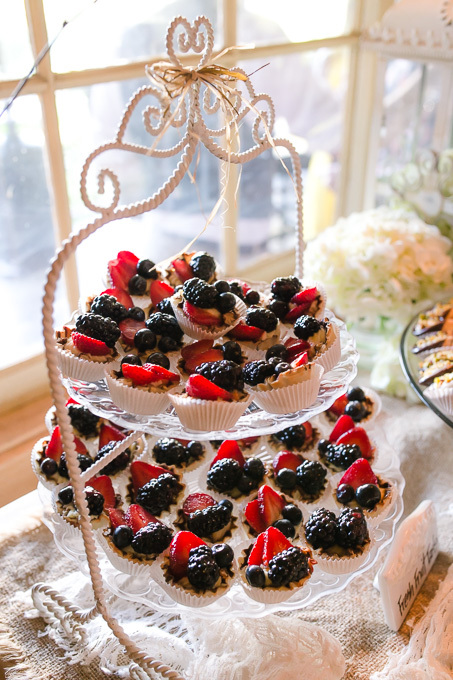 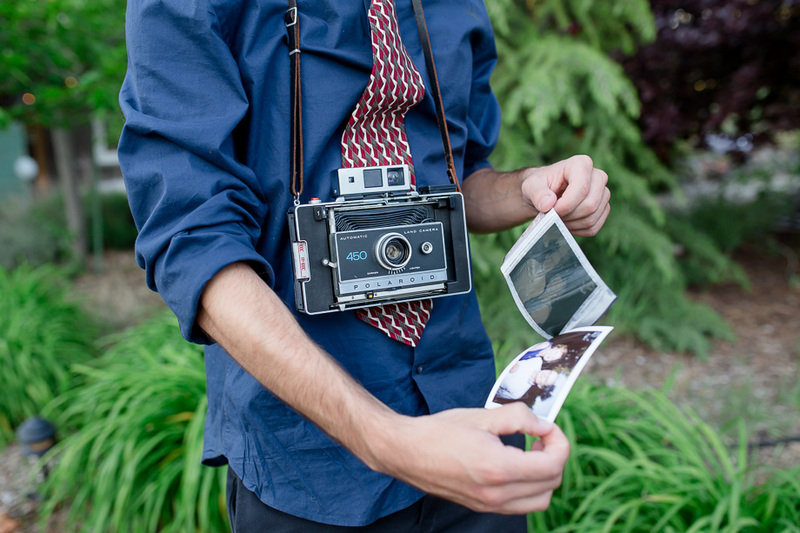 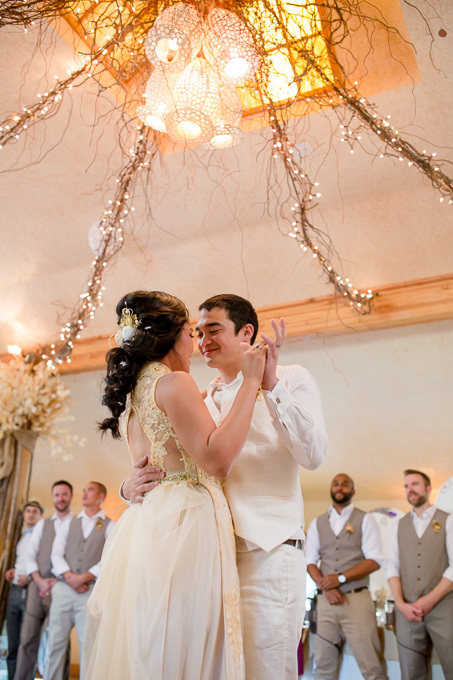 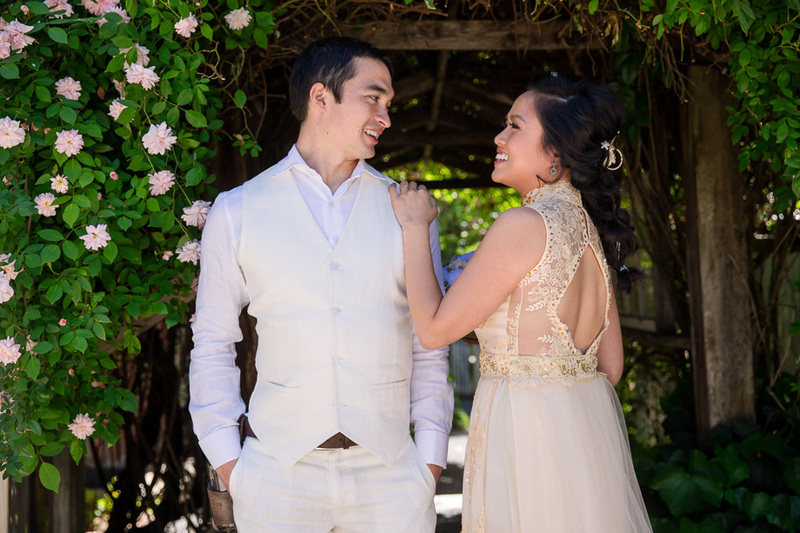 I can’t wait to share with you Van and Matt’s stunning wedding photos! 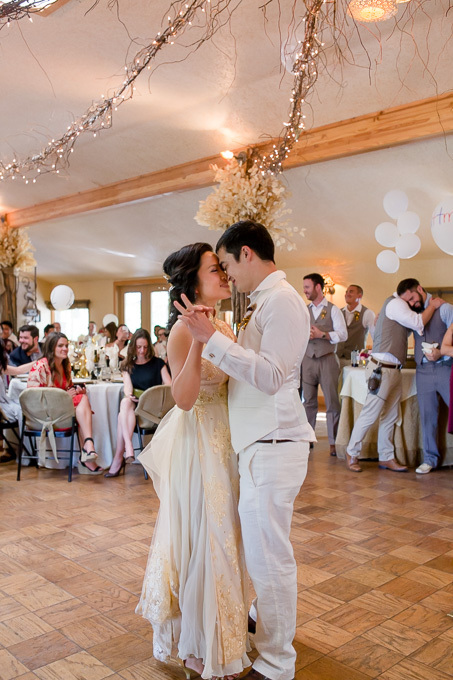 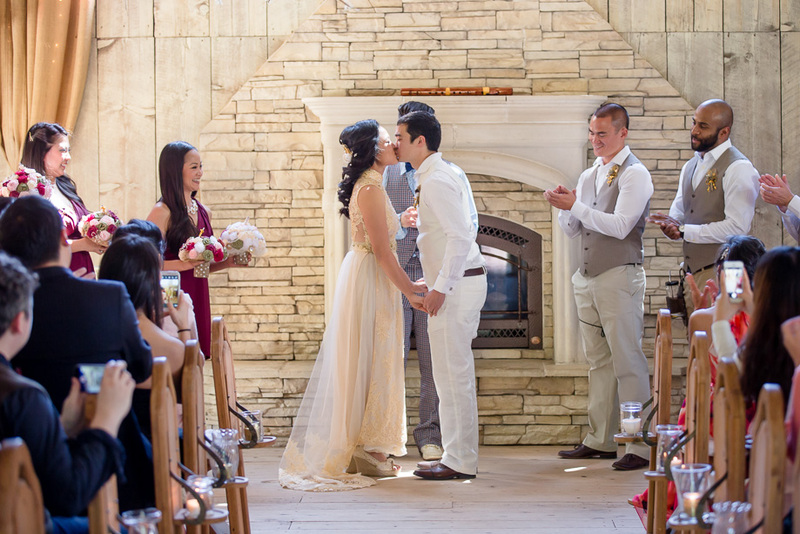 Their wedding was like a dream come true with a breathtaking chapel ceremony and a reception that was full of surprises. 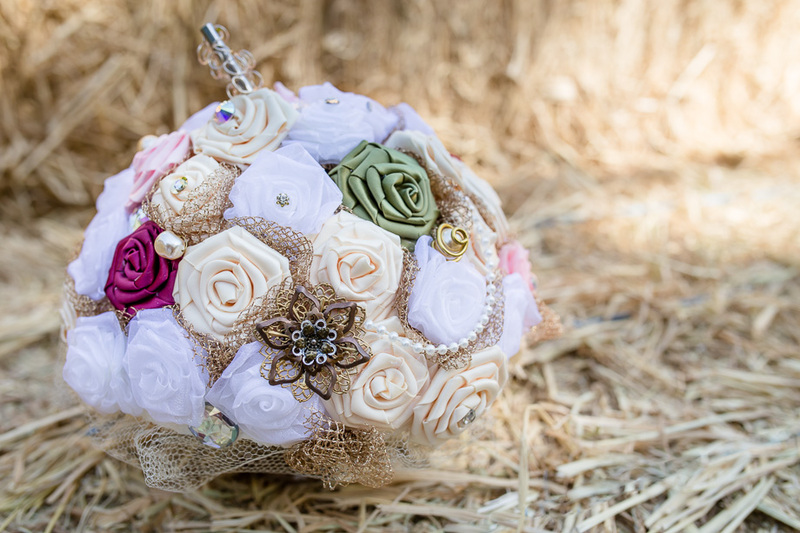 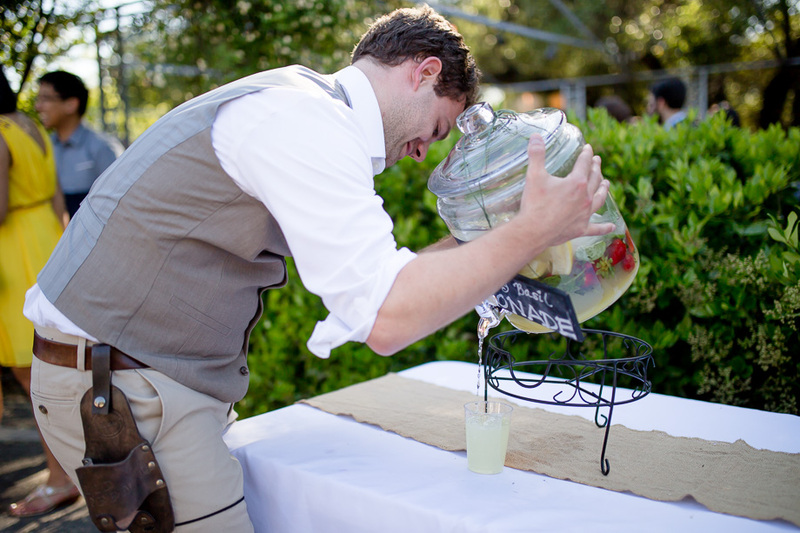 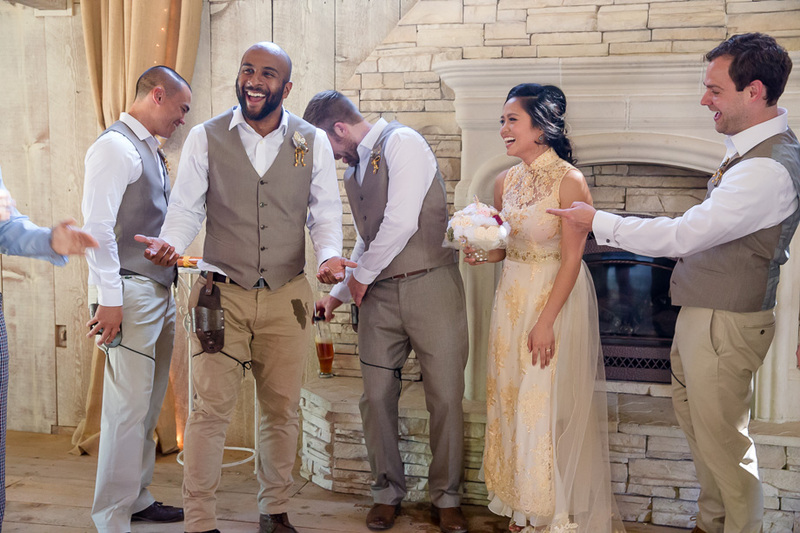 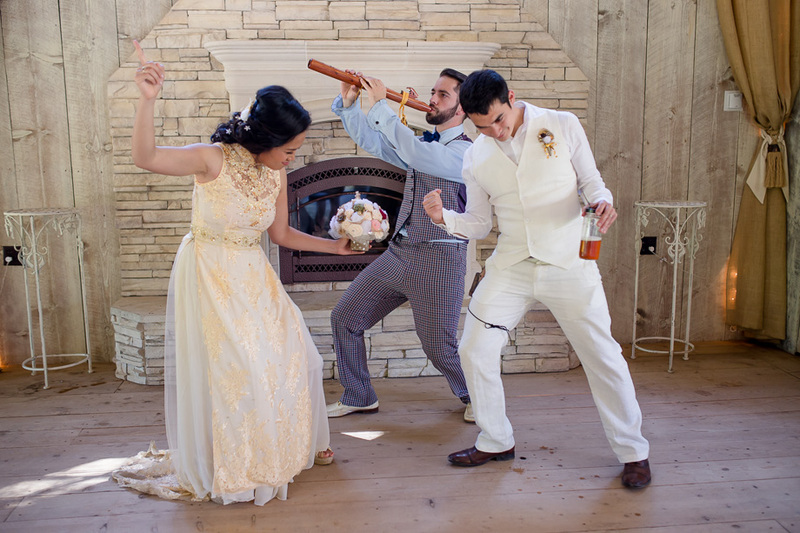 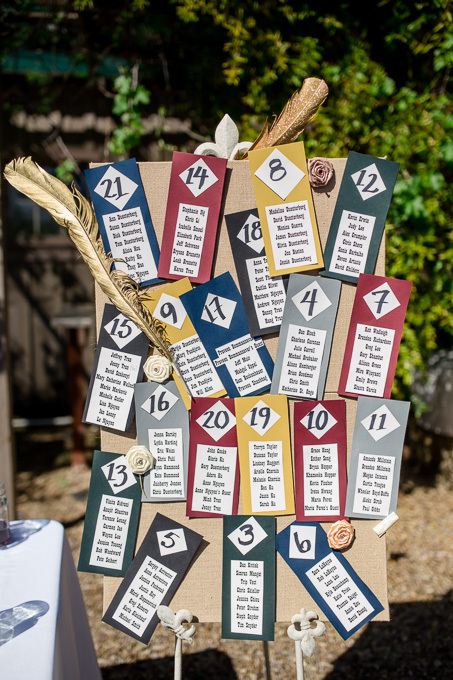 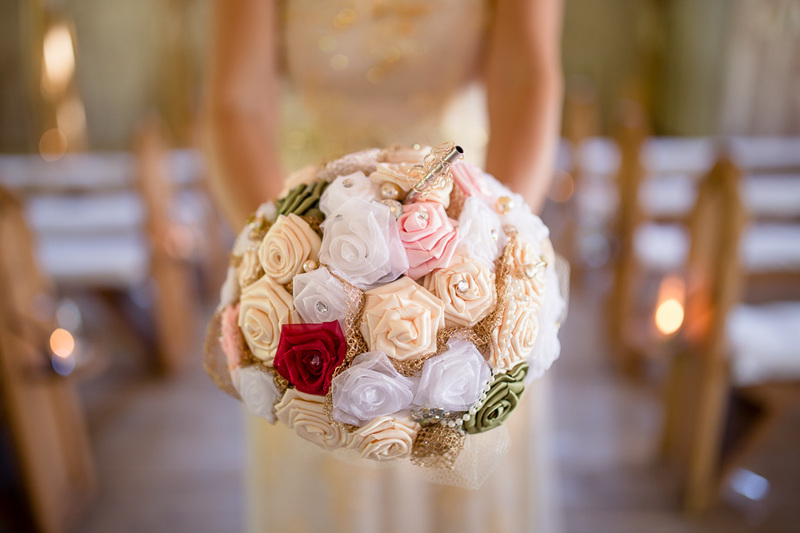 It started with a DIY boozequet that Van made herself — a beautiful, handcrafted silk bridal bouquet with a metal straw for drinking the beer cleverly hidden in the base… genius! 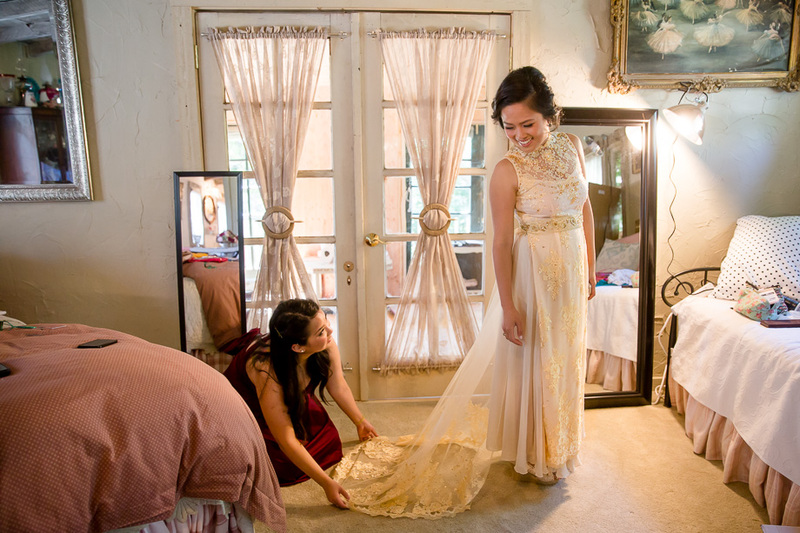 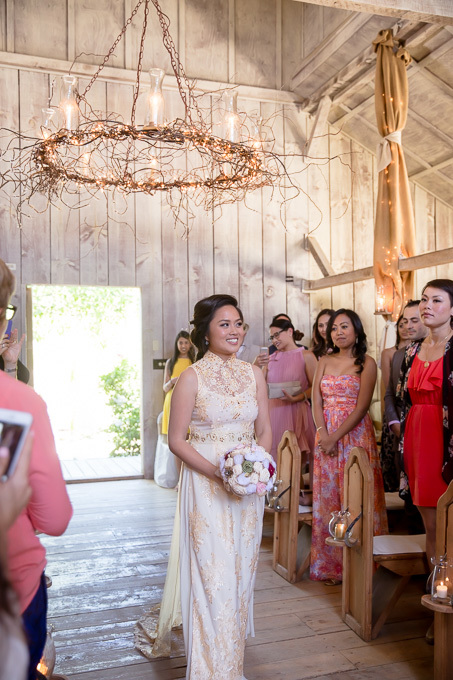 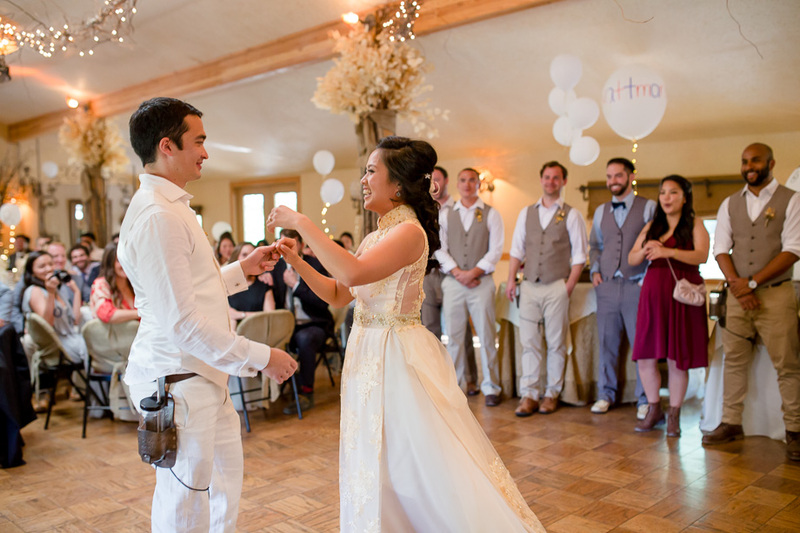 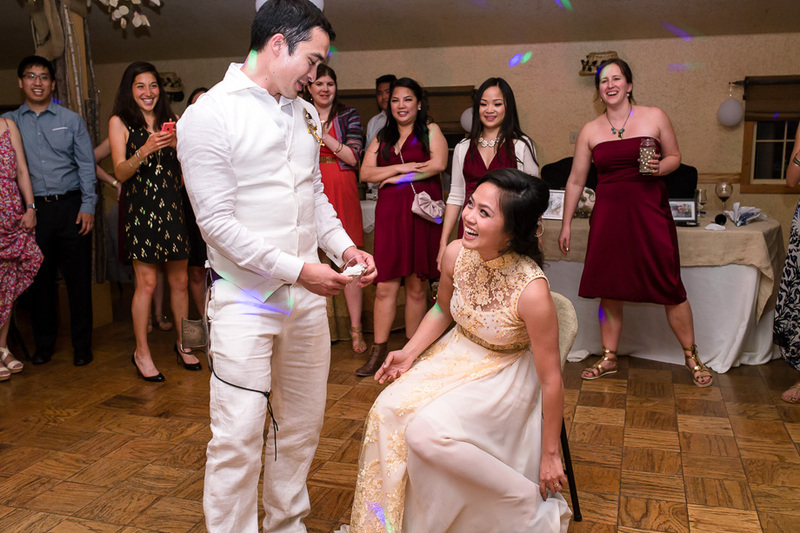 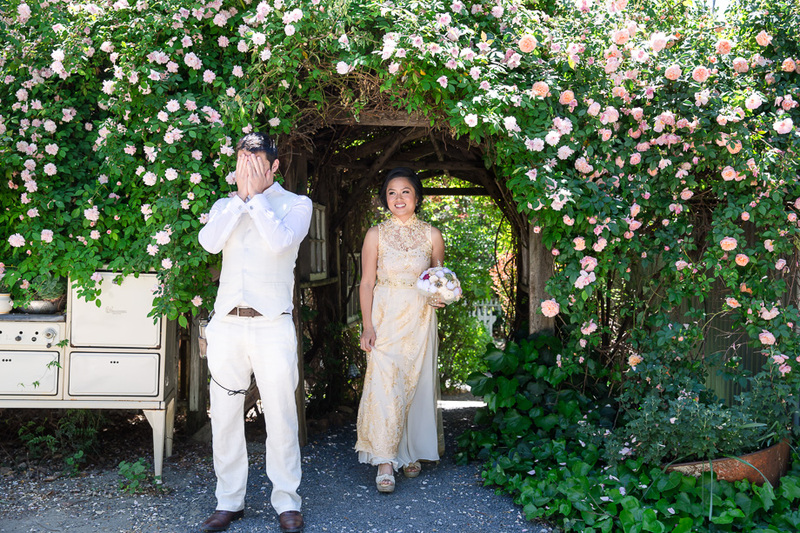 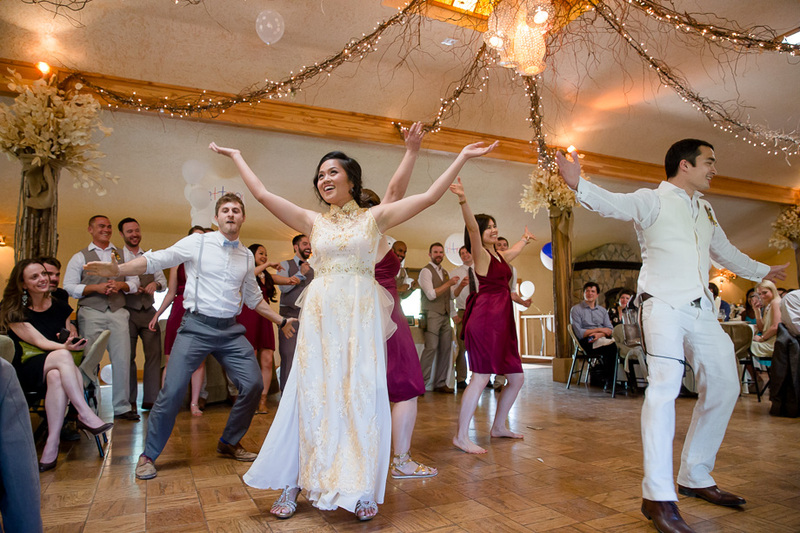 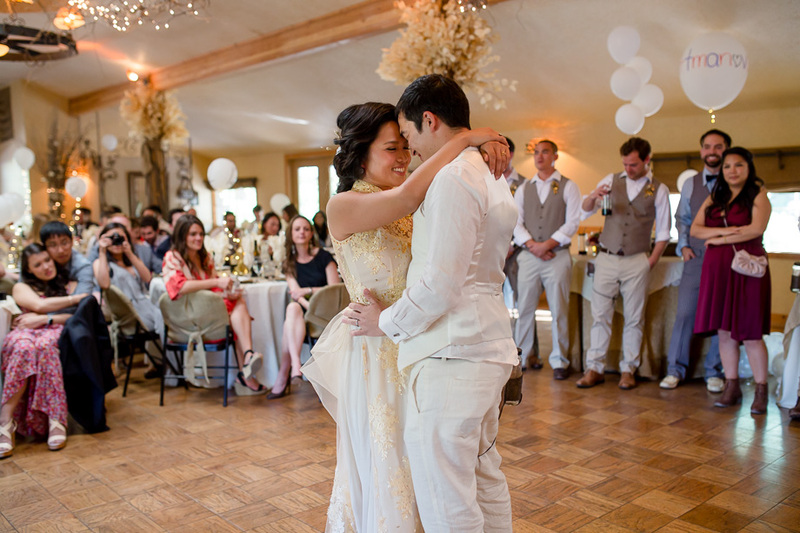 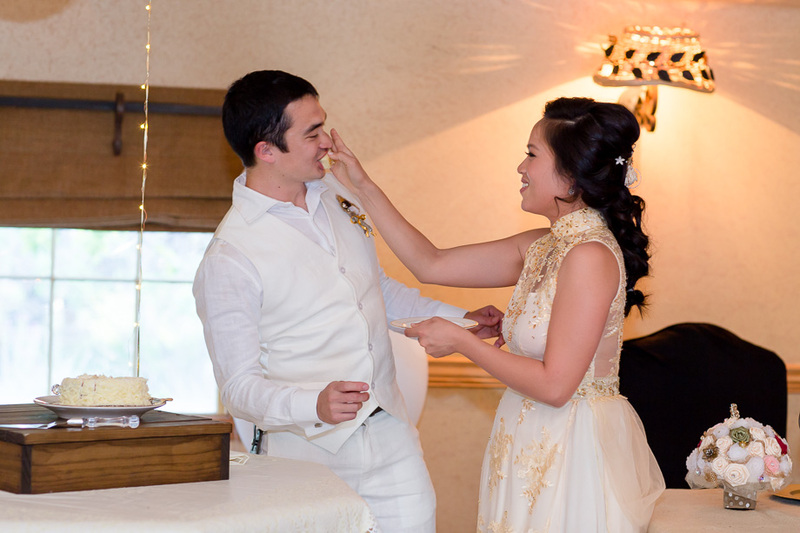 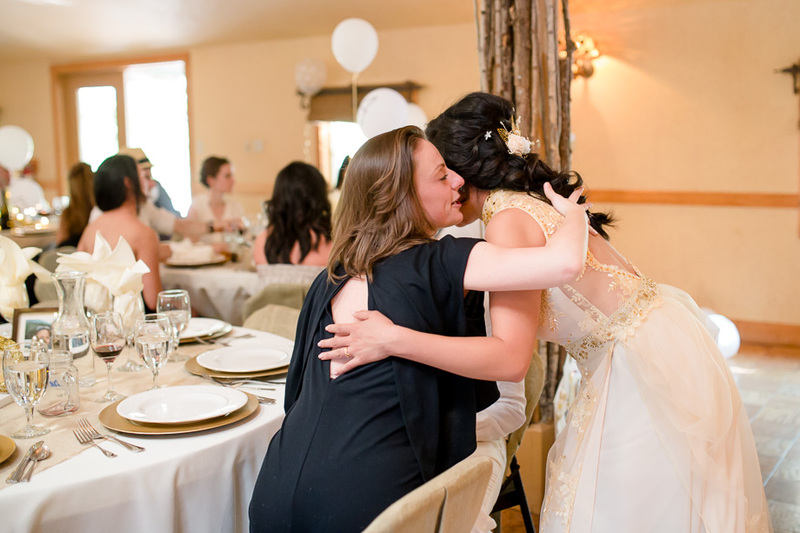 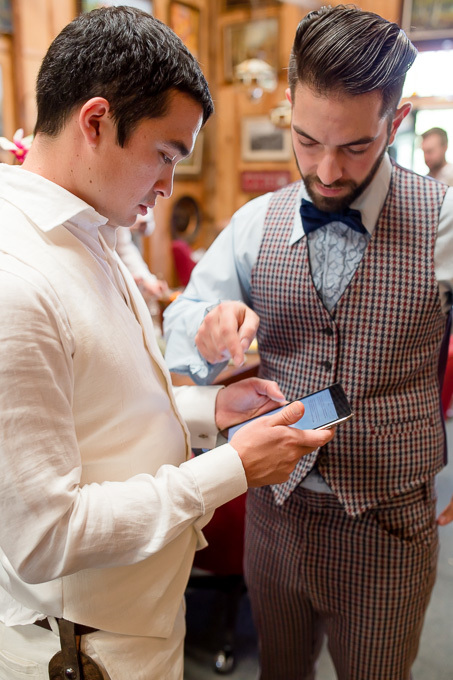 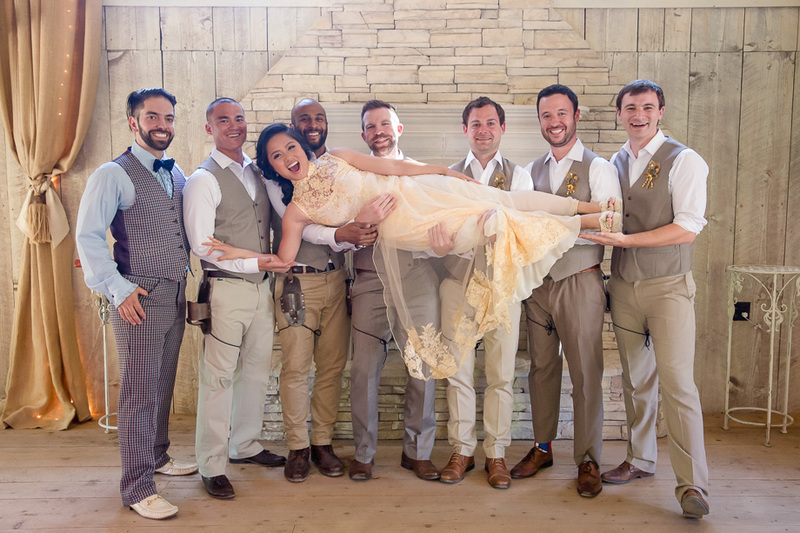 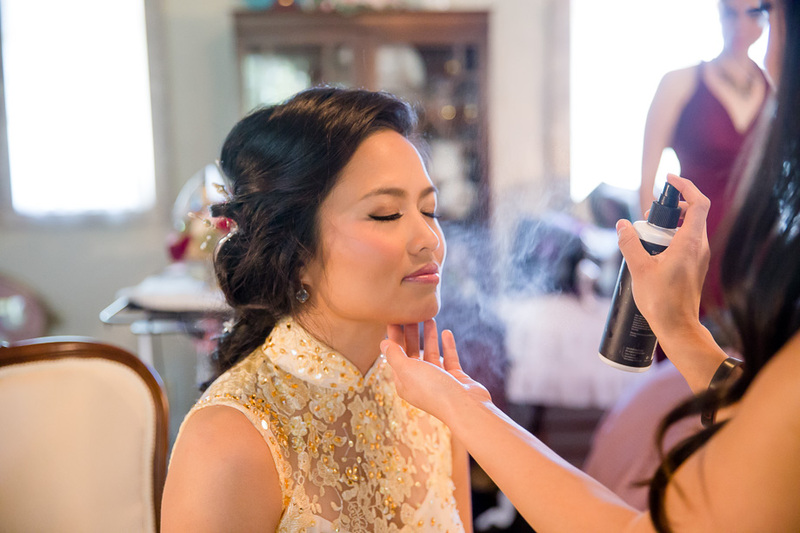 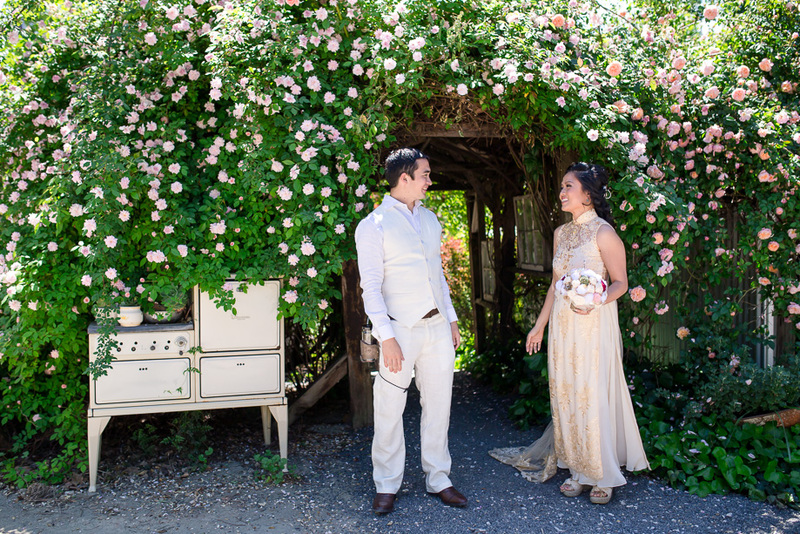 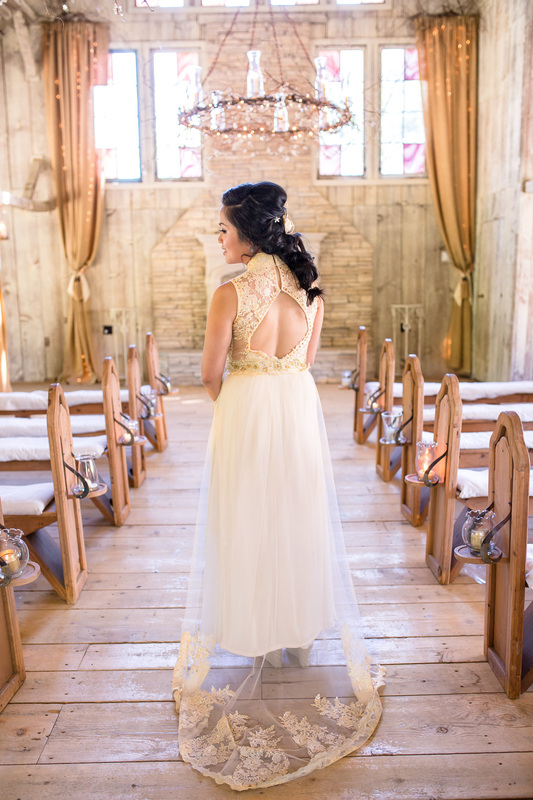 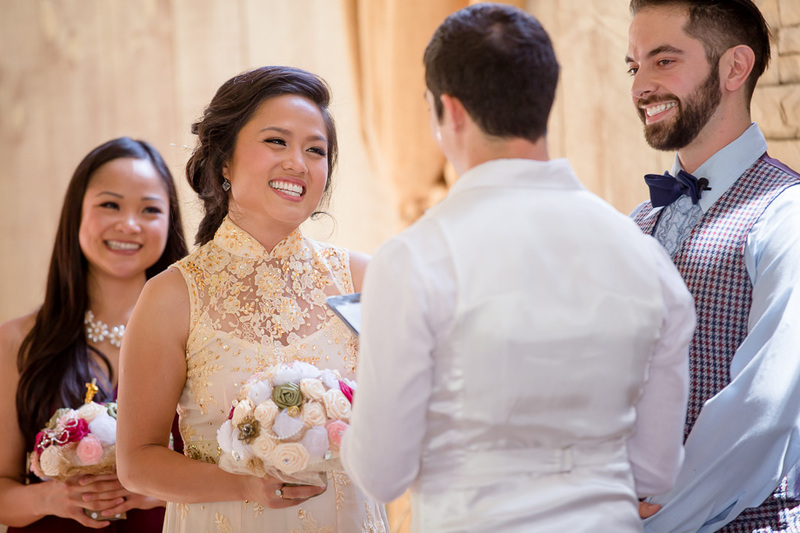 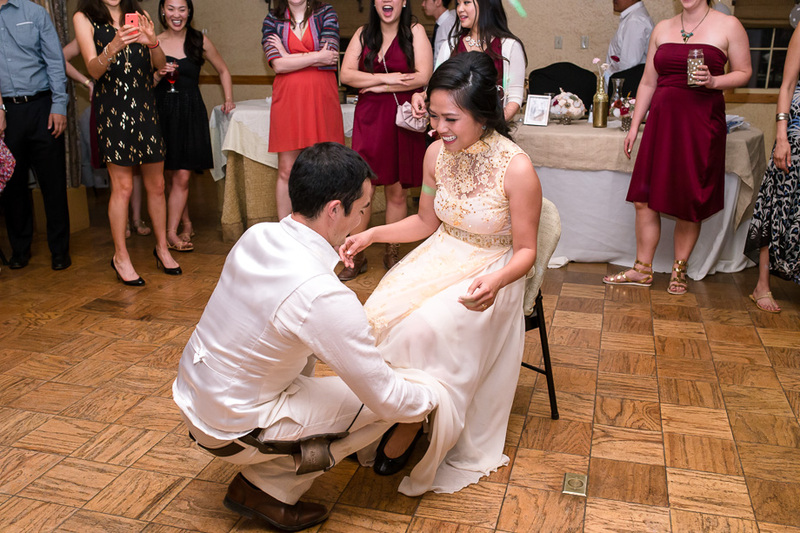 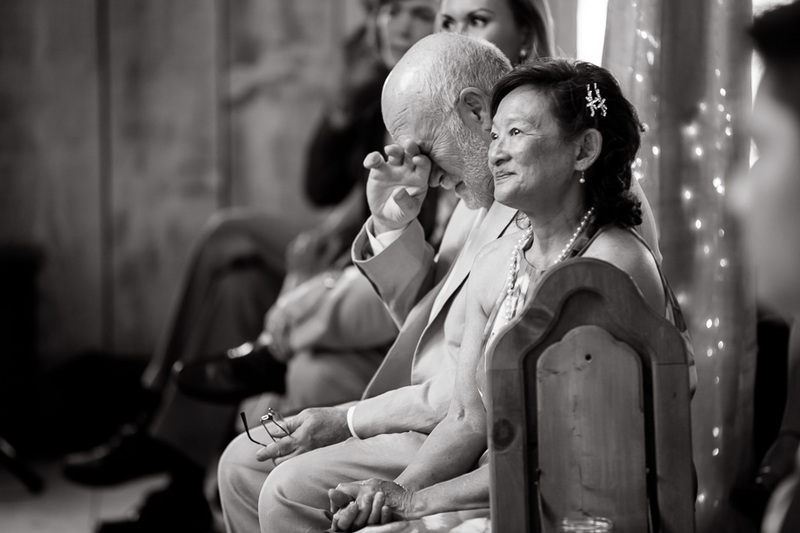 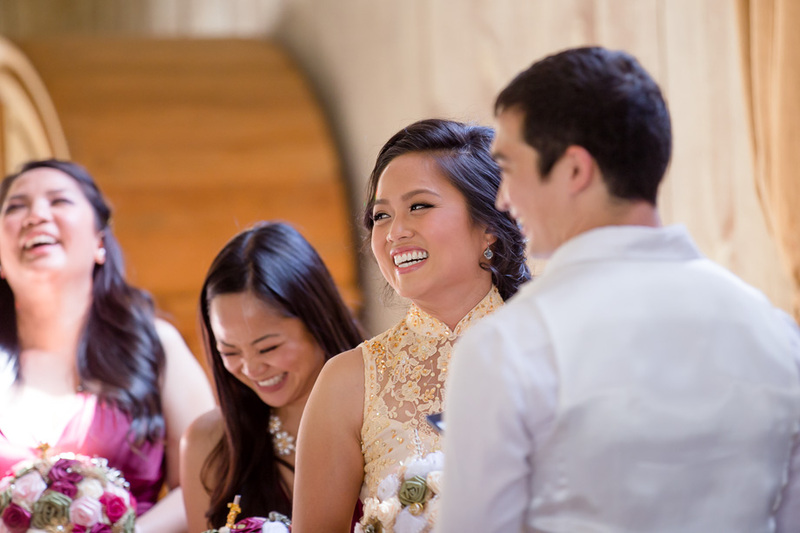 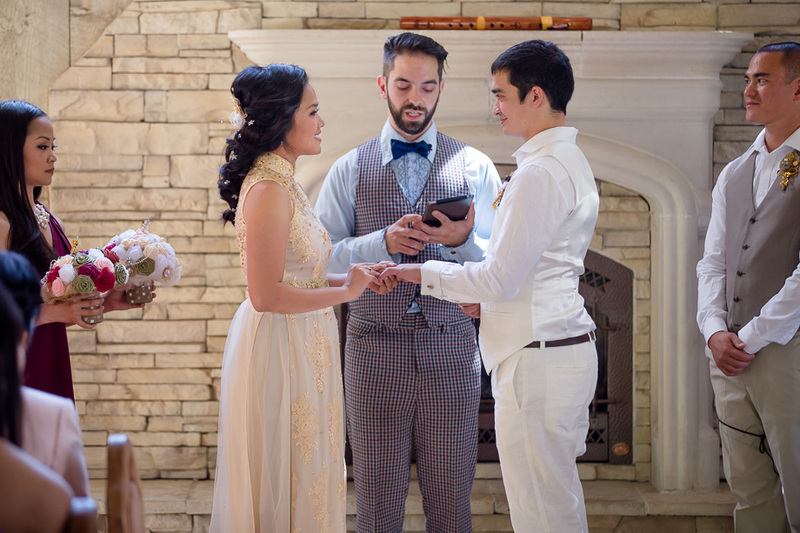 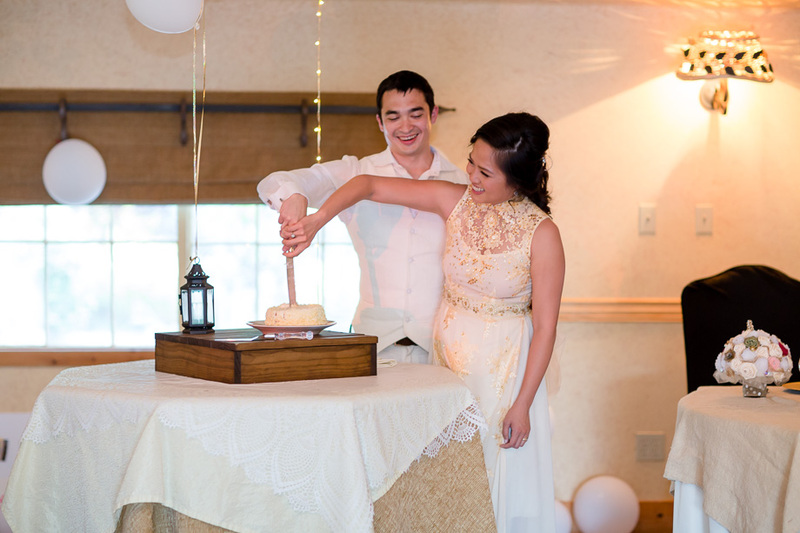 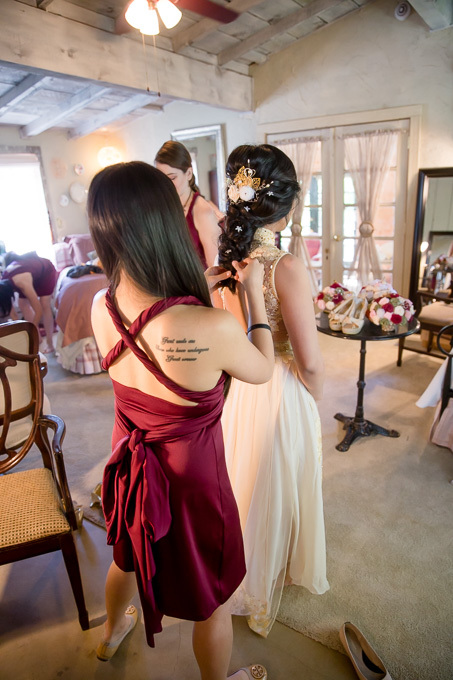 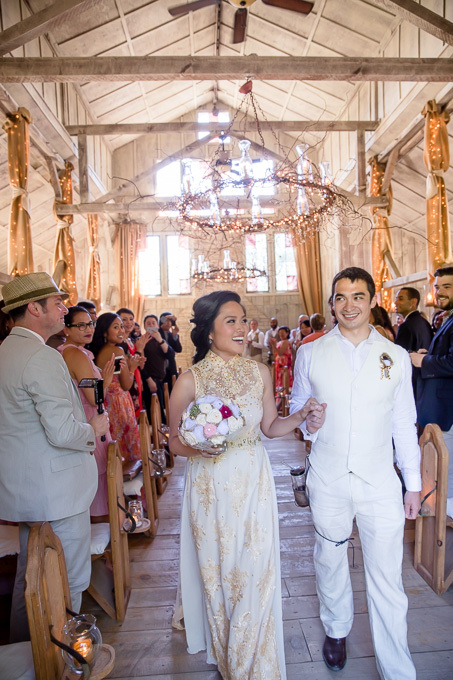 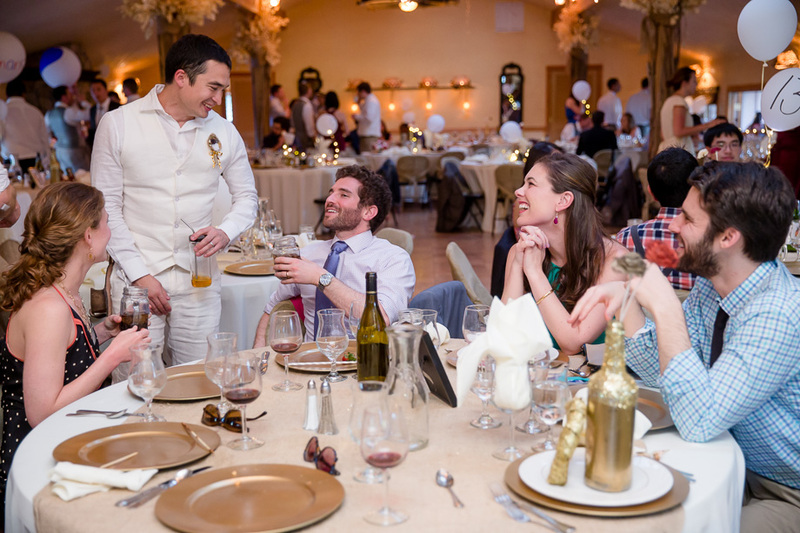 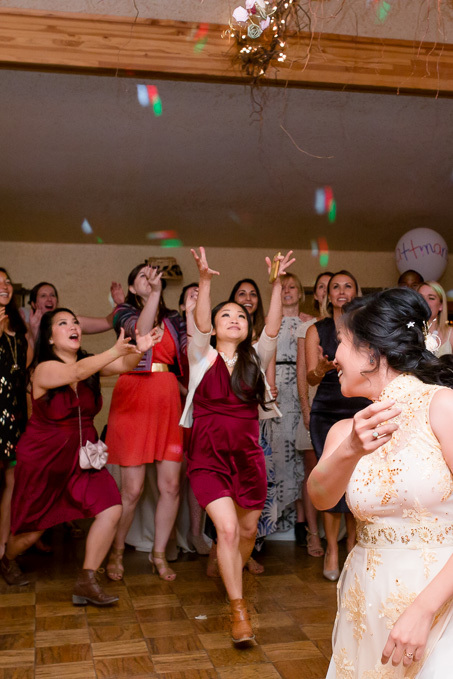 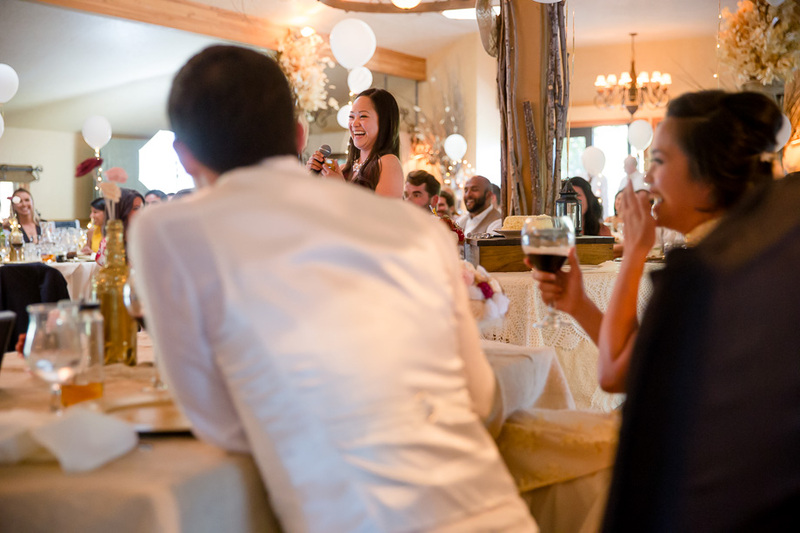 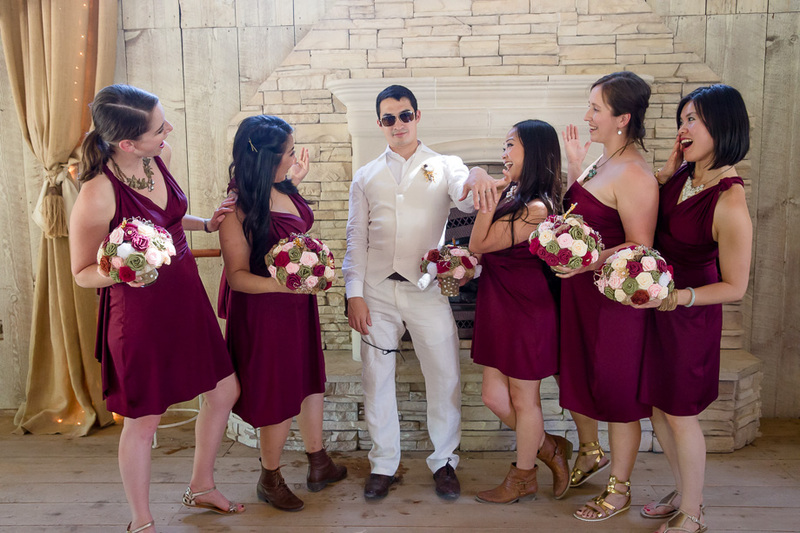 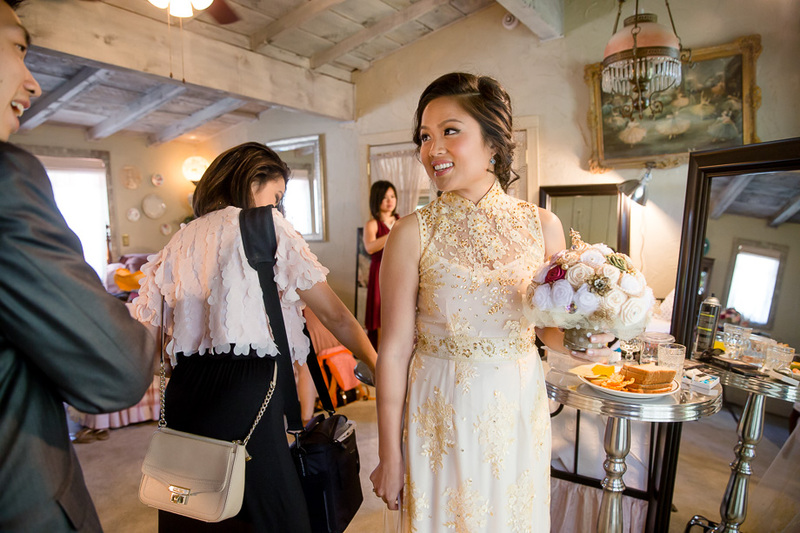 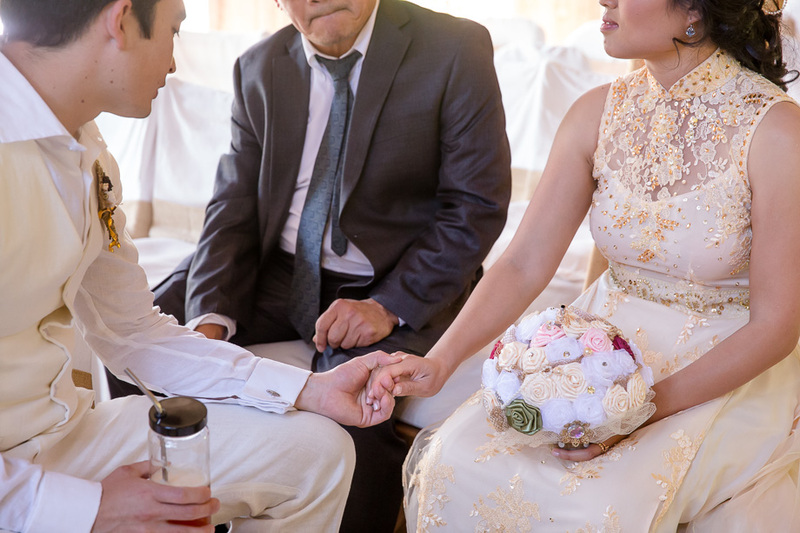 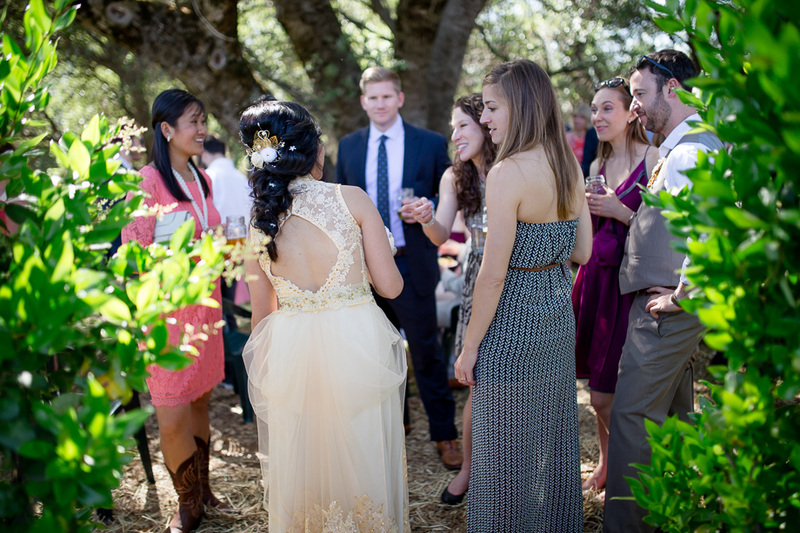 She also designed her own dress, incorporating Vietnamese culture into their American-style wedding. 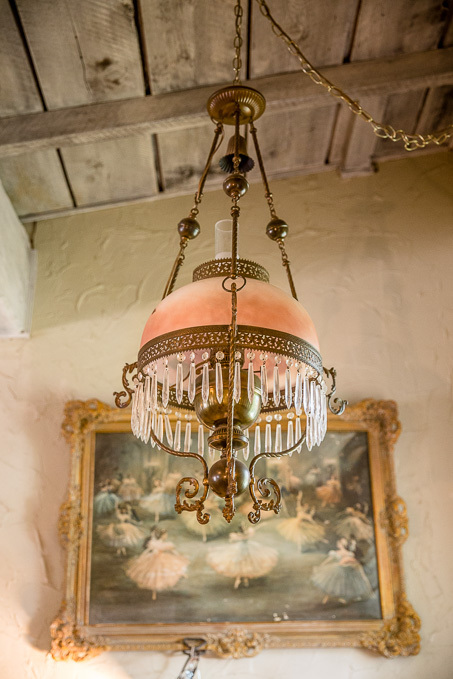 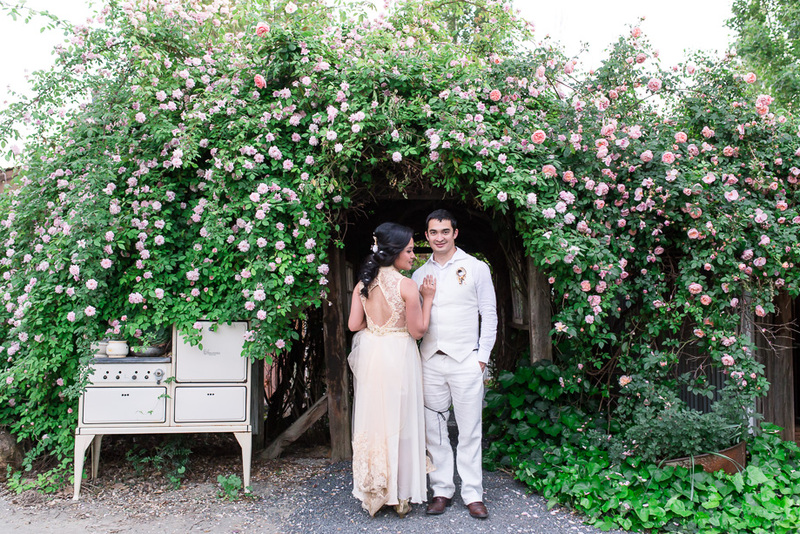 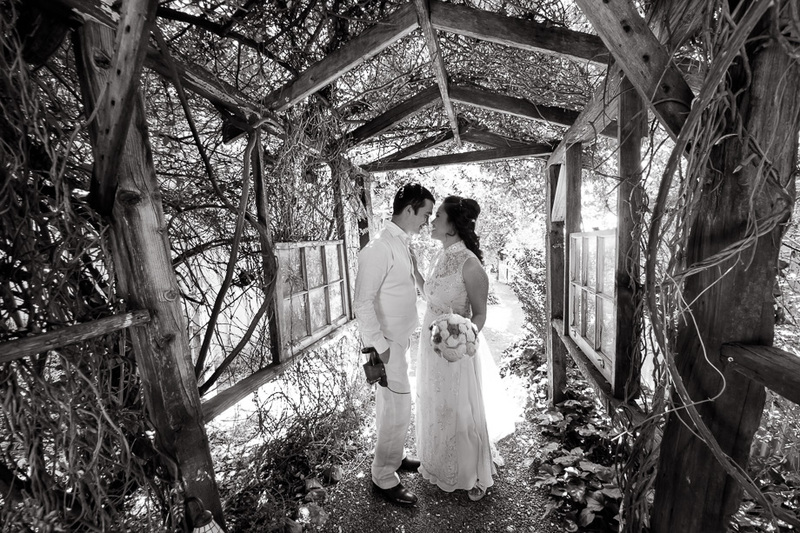 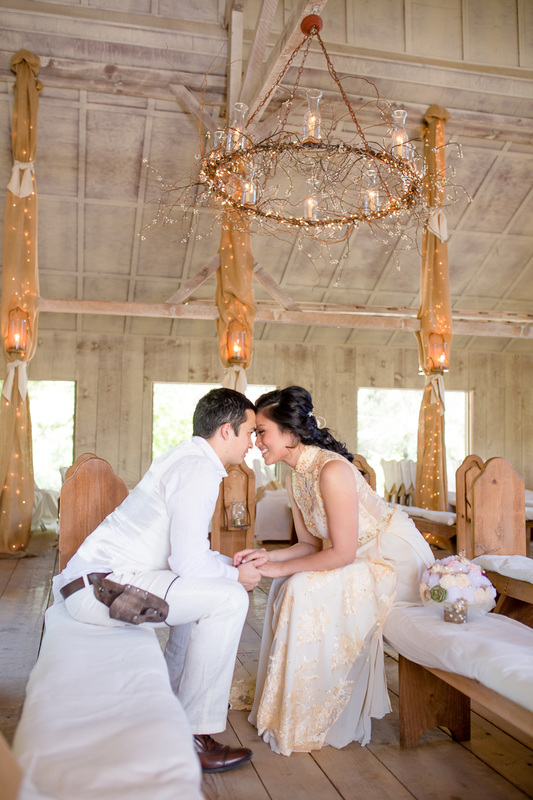 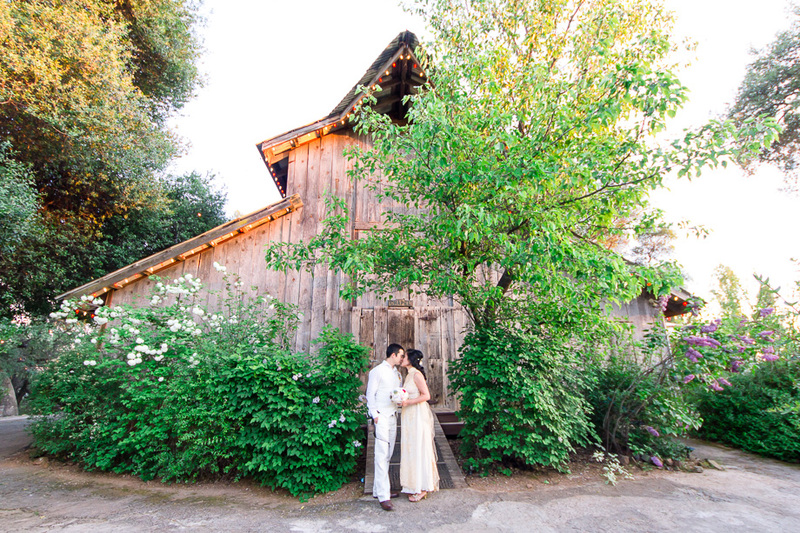 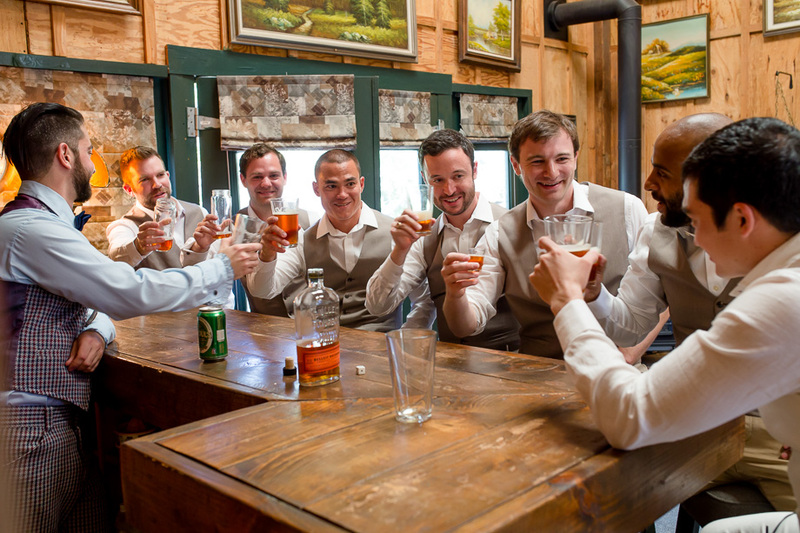 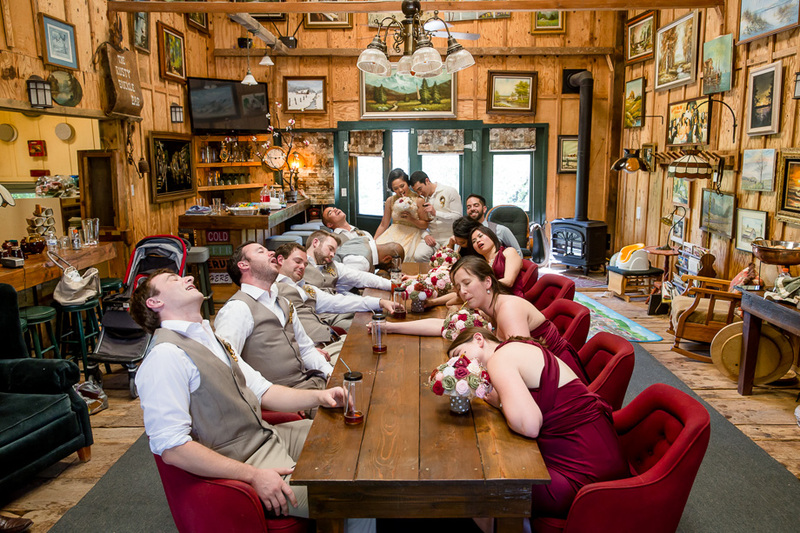 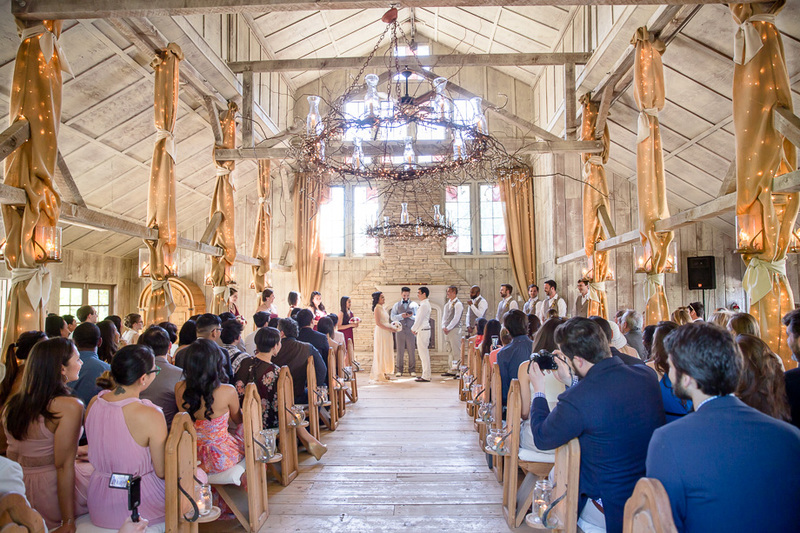 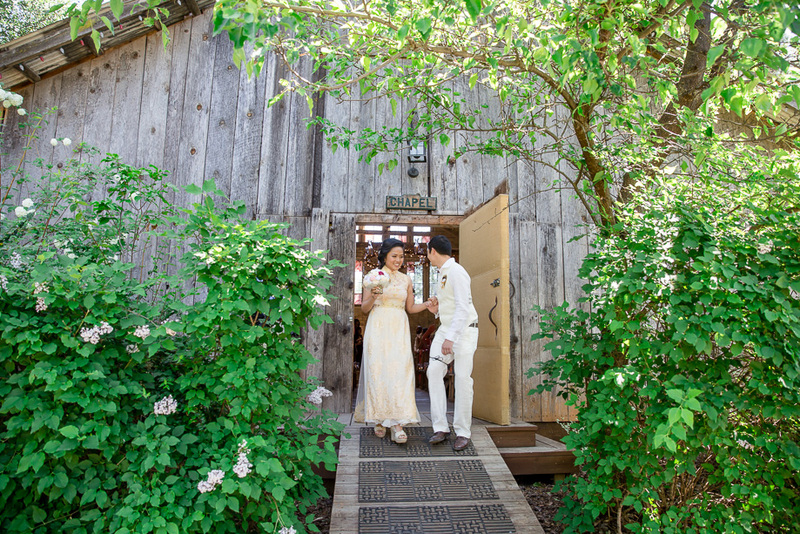 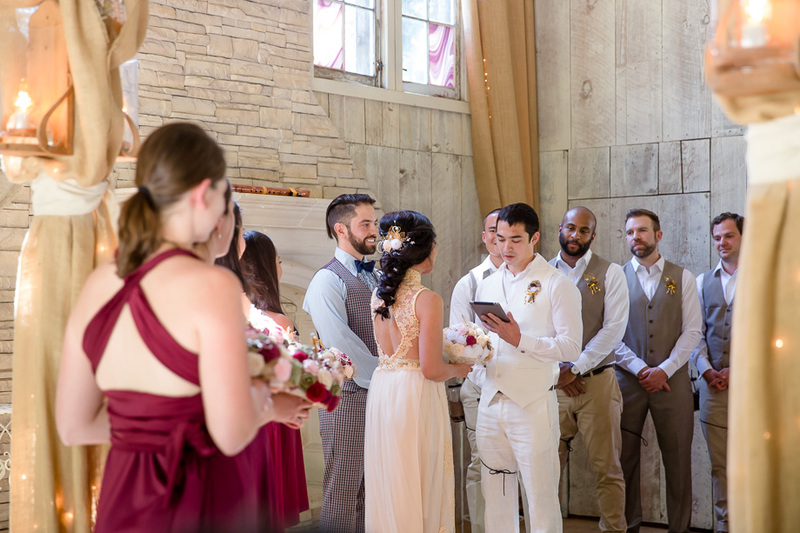 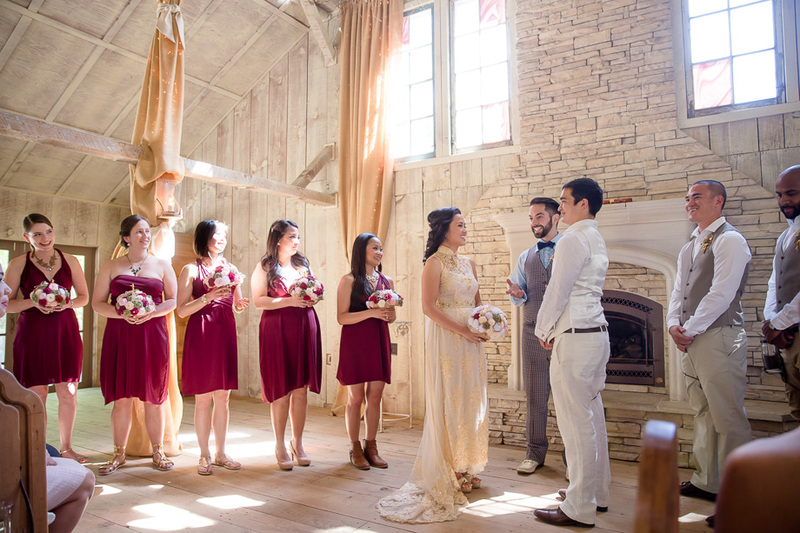 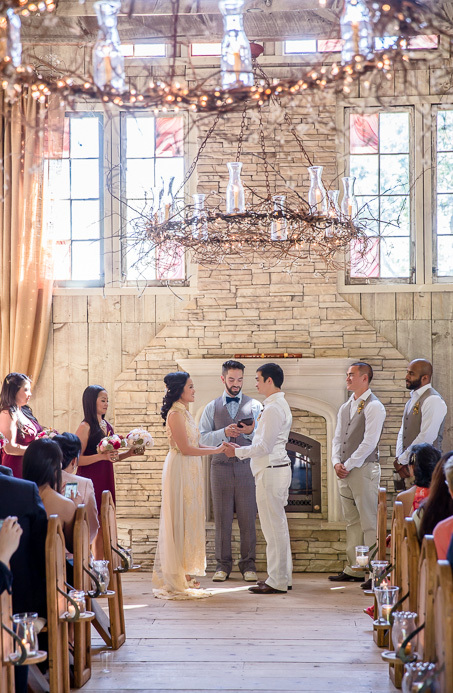 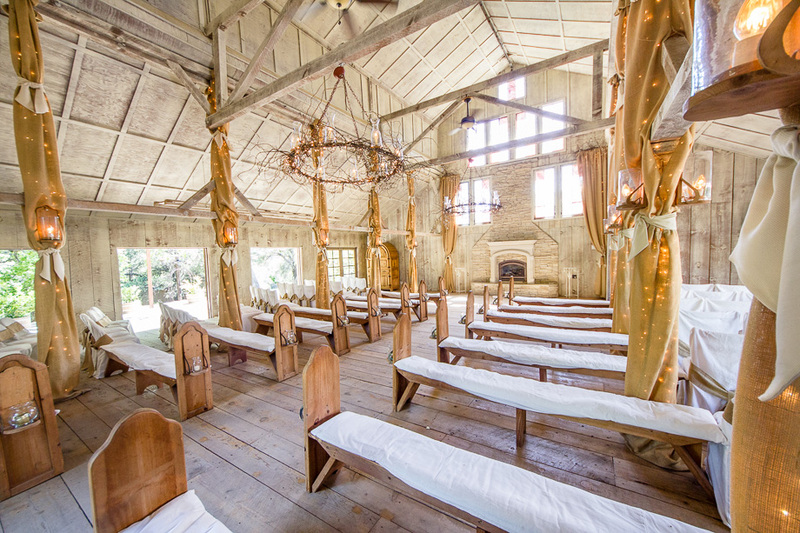 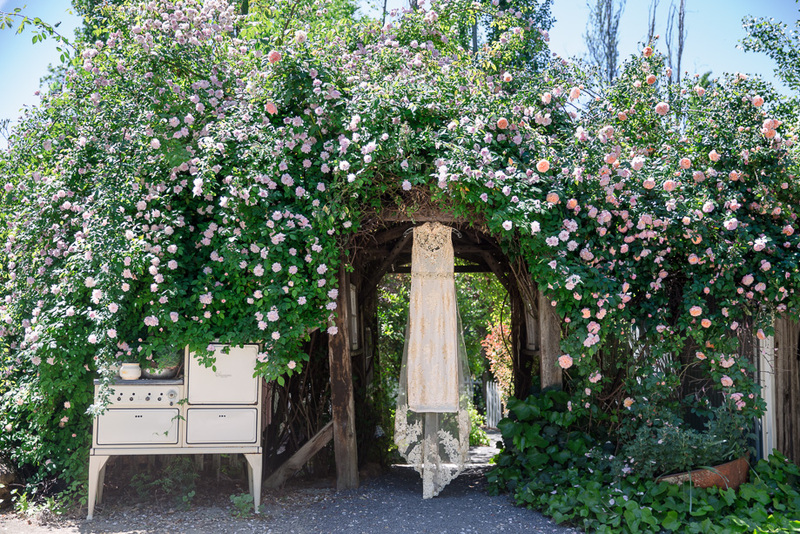 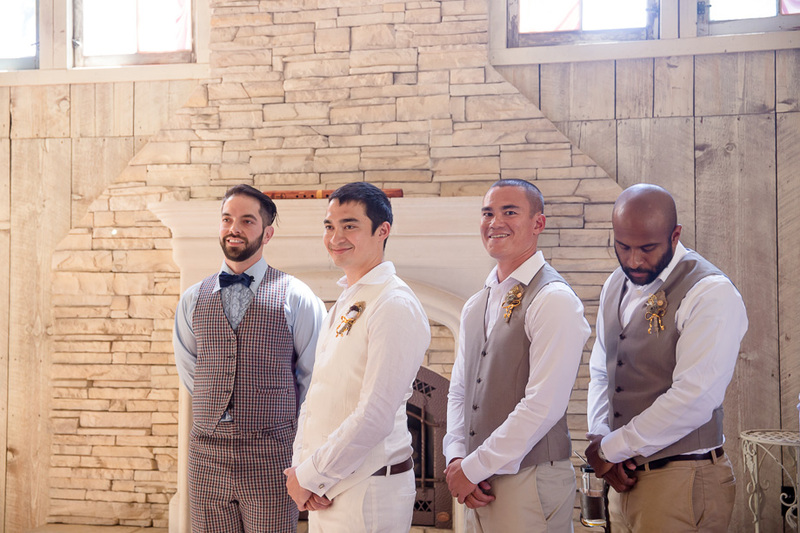 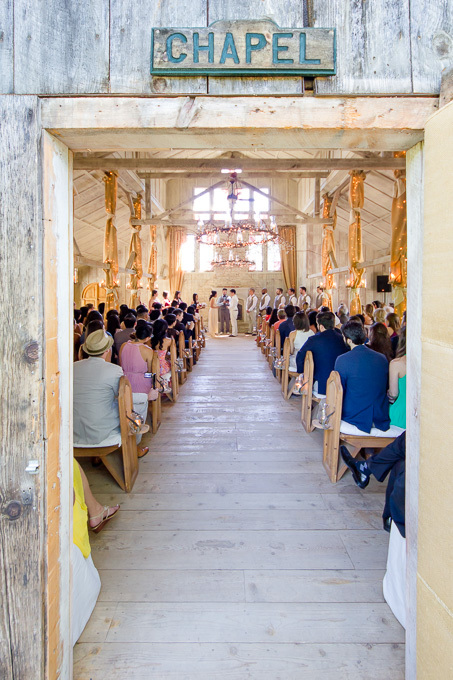 The chapel at Union Hill Inn was every photographer’s dream! 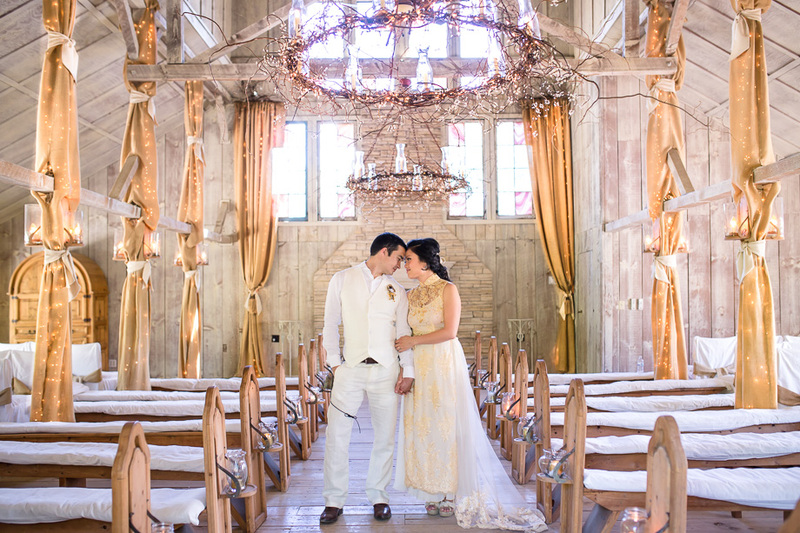 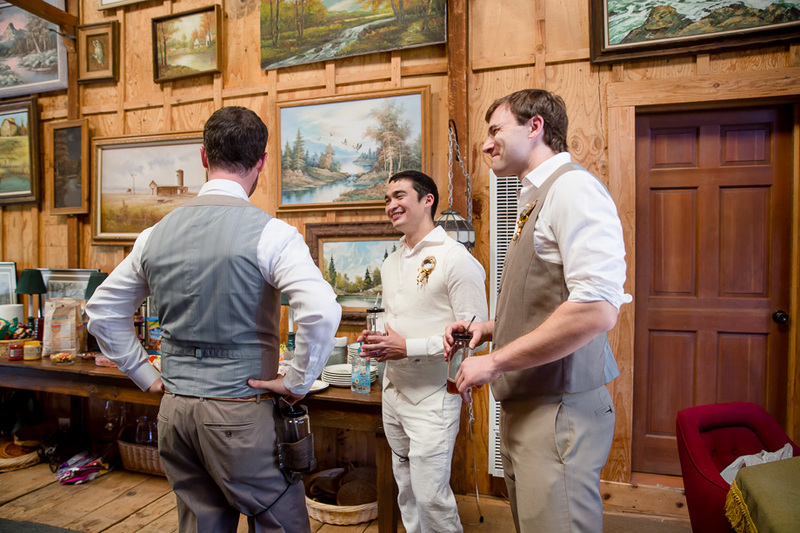 The interior was evenly lit with tons of natural light, and the golden colors really glowed and stood out. 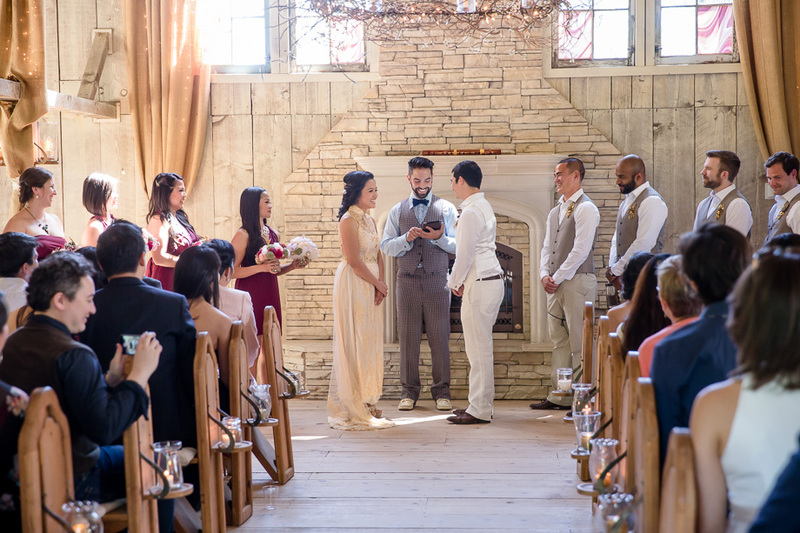 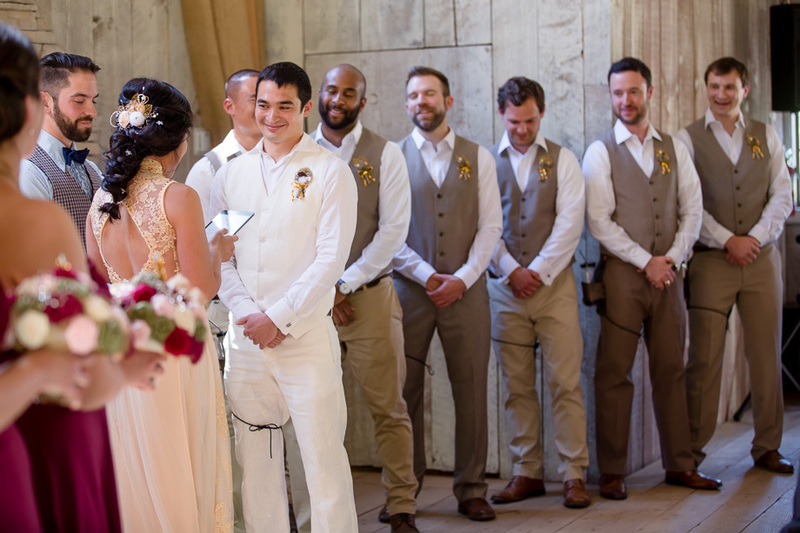 The couple’s touching ceremony ended with a surprise flute performance by their officiant. 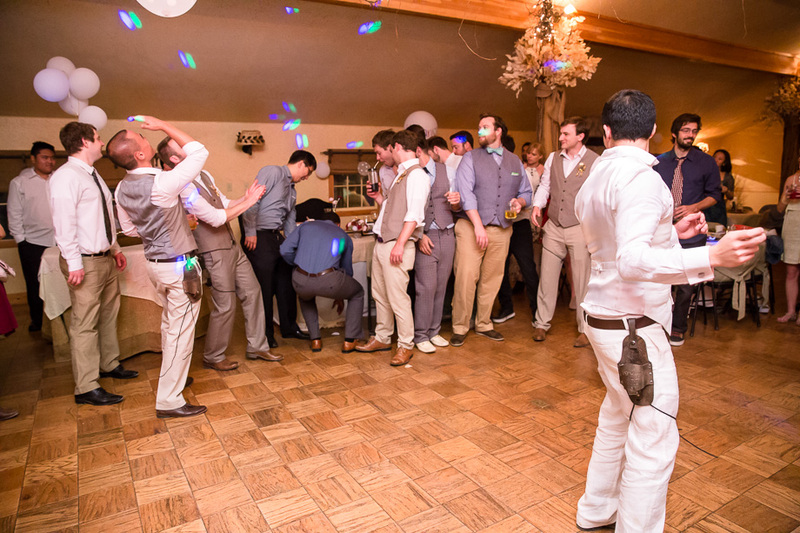 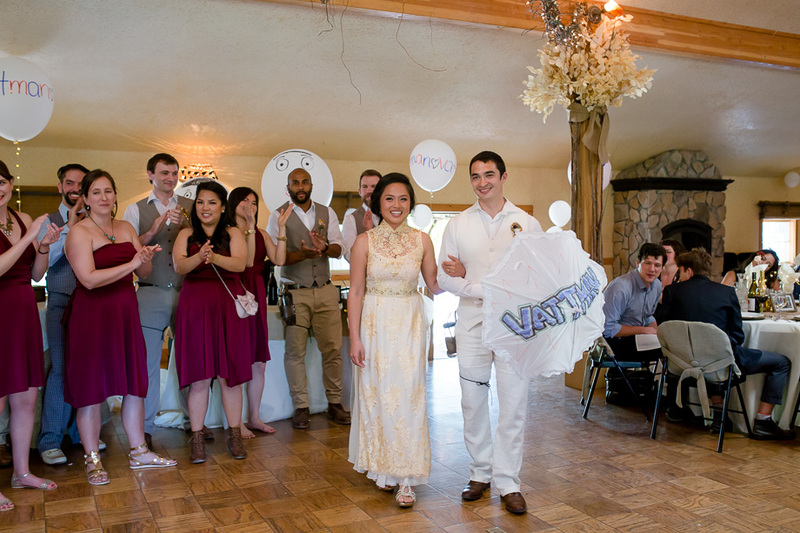 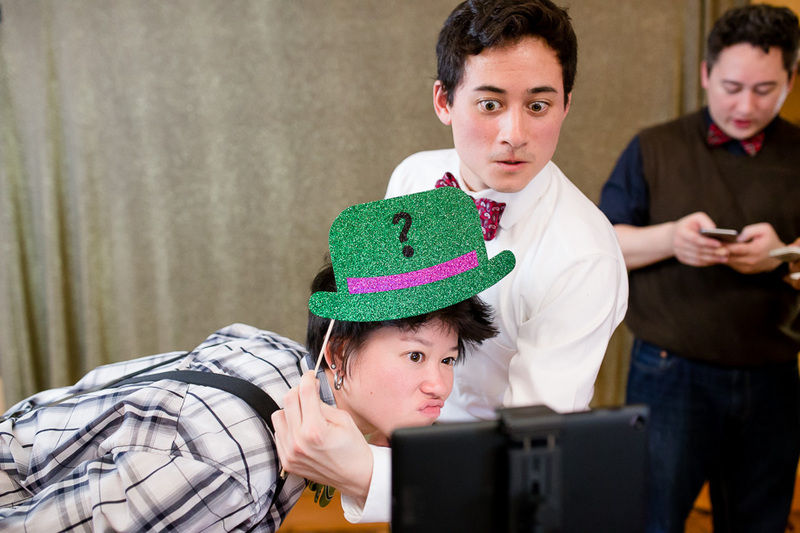 Speaking of surprises, the grand entrance featured a surprise performance by Van & Matt dancing to the Batman theme song while holding a “Vattman” umbrella, as well as a group dance by the wedding party. 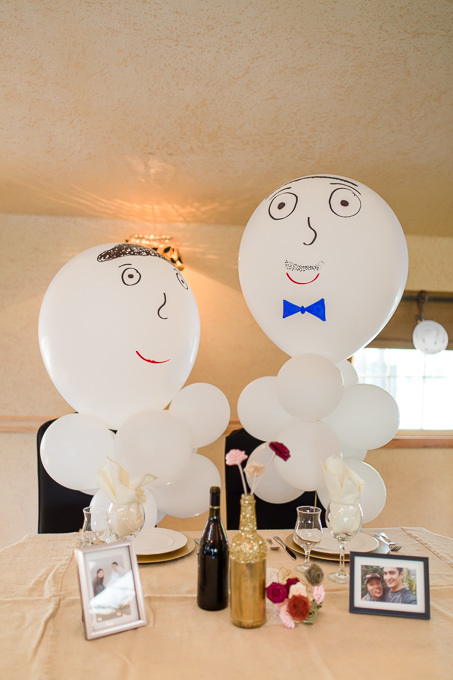 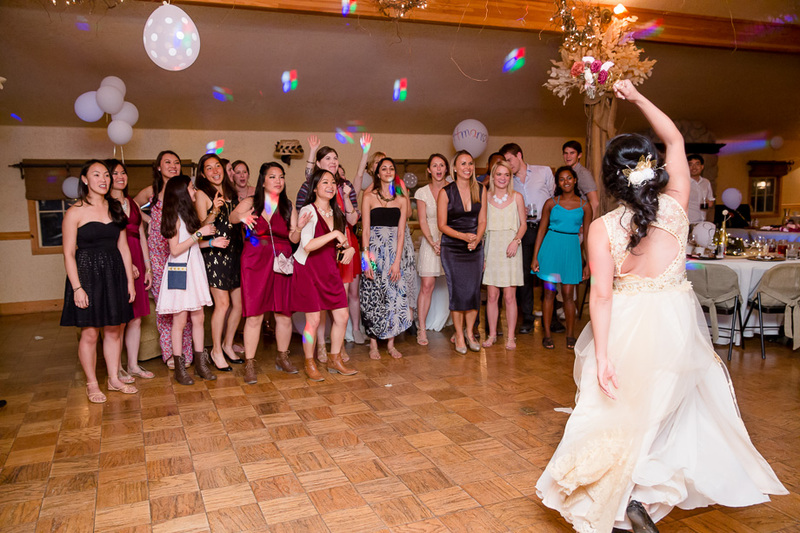 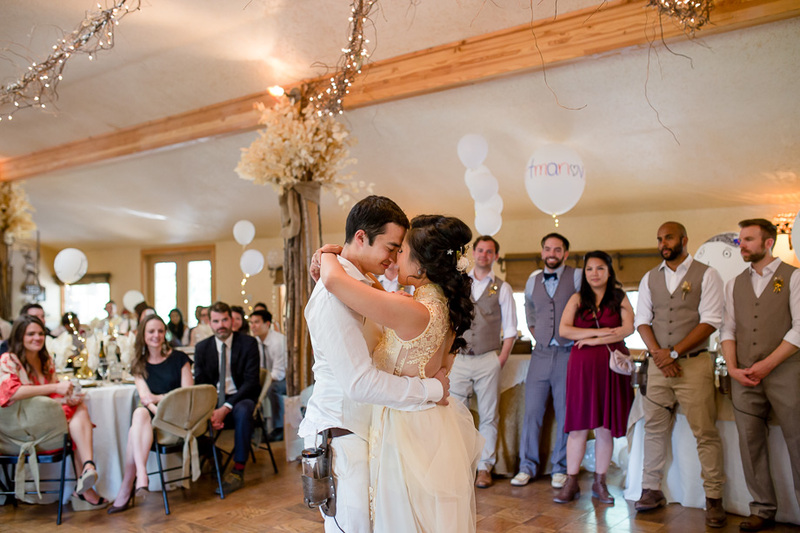 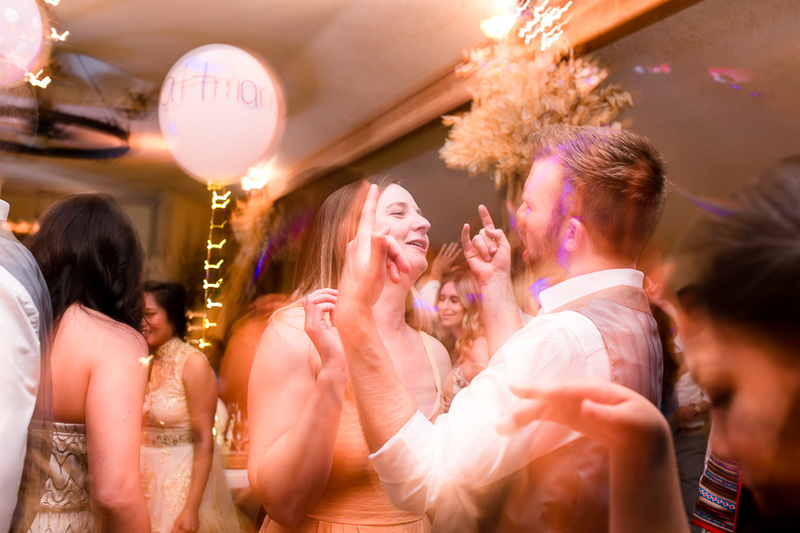 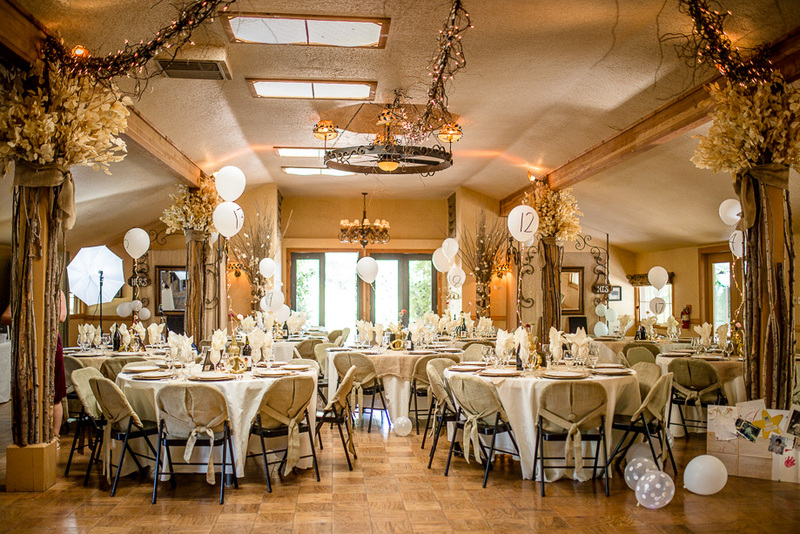 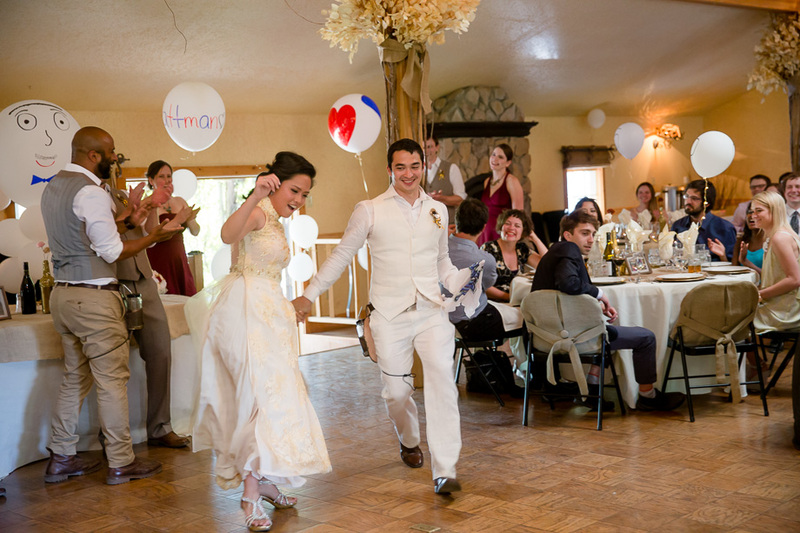 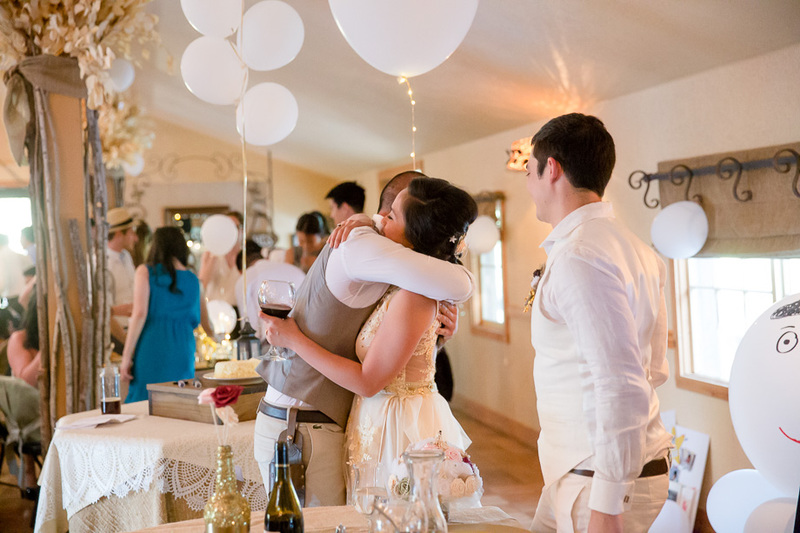 Their friends also surprised the couple with two giant balloons with drawn faces representing Van and Matt at their sweetheart table, making their reception hall romantic and fun! 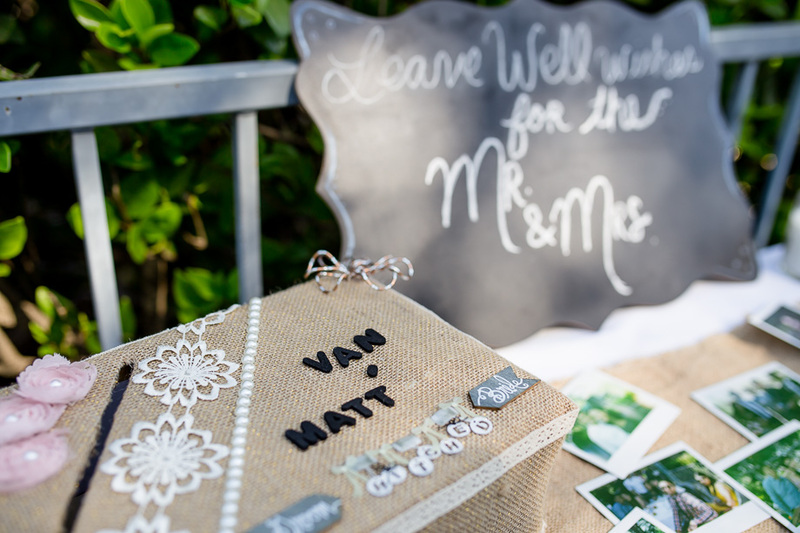 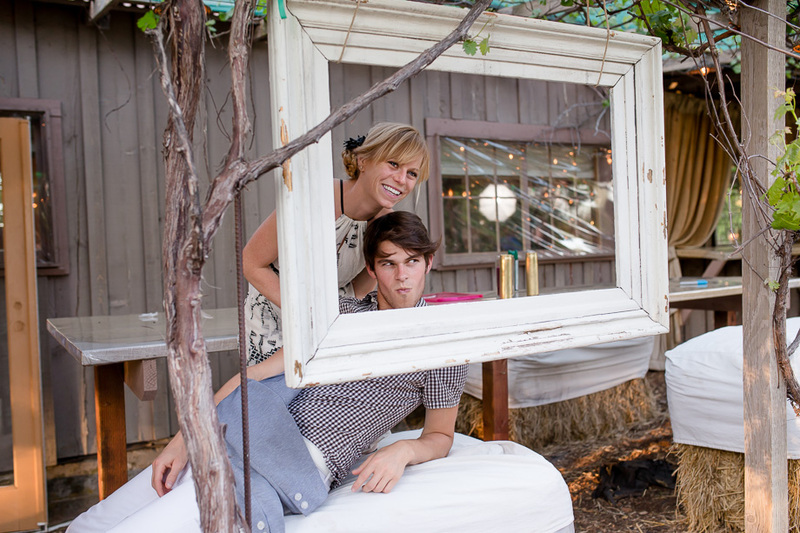 Thank you Van and Matt, for letting us being a part of your special day. 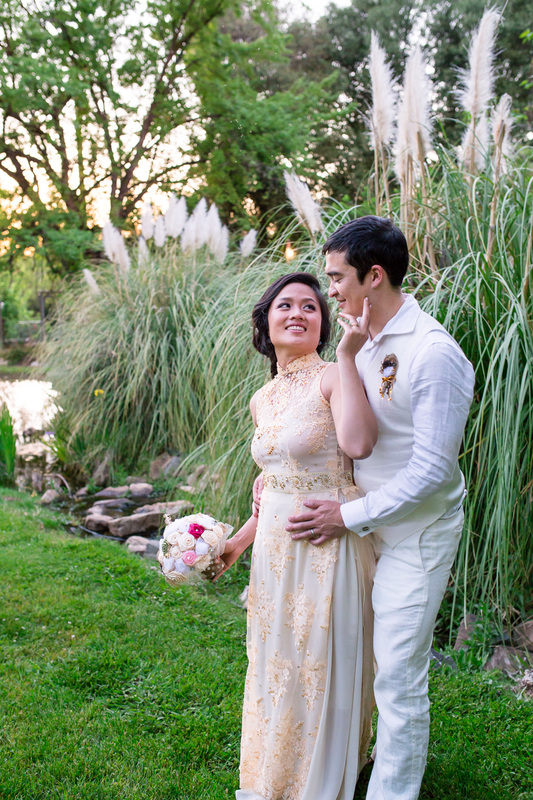 Congratulations to you two and to the whole family!